This realistic set of vectors has great illustrations in a mix of plants, insects and animals. Perfect for your nature, wildlife and scientific design projects. Download as AI and PDF for your designs and vector library. 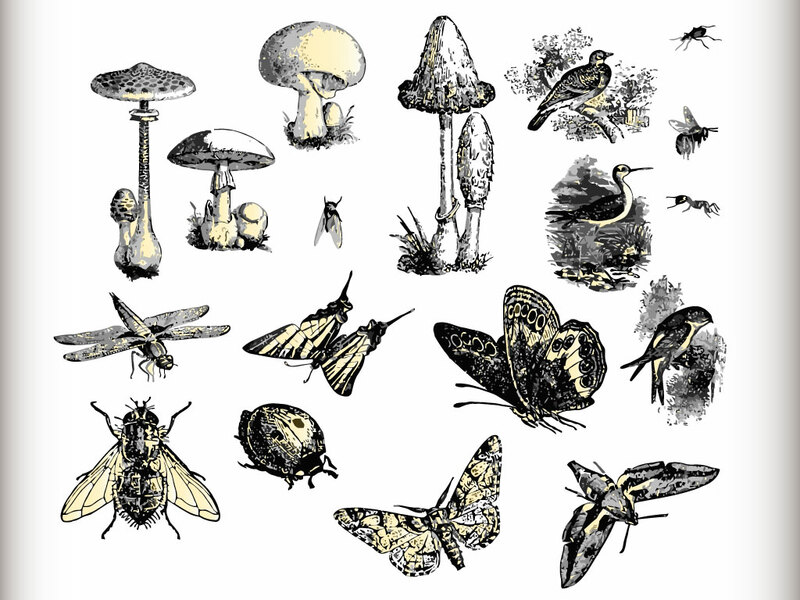 Tags: Animals, Forest, Insects, Mushrooms, Nature, Park, Plants, Wood.